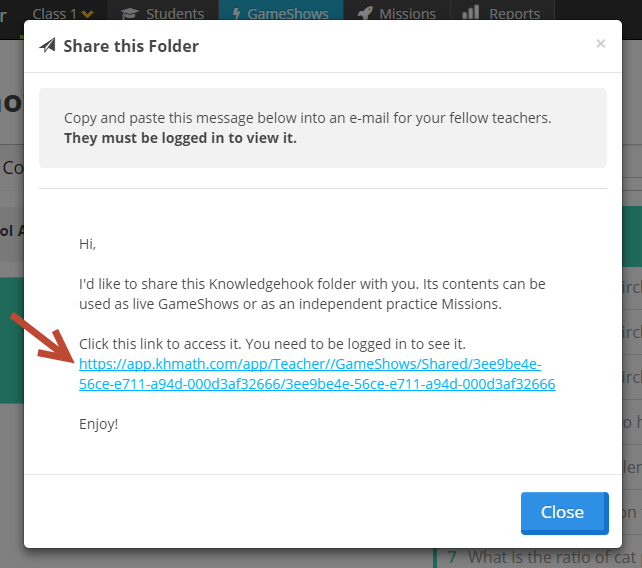 You can now share a Folder of custom activities with other teachers. 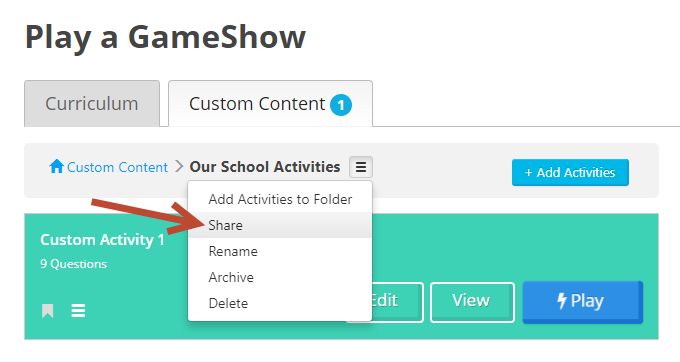 Create the new folder and populate it with activities that you'd like to share. You can even use subfolders within it to help you organize. If you haven't worked for folders yet, learn how to create a folder. Then click into the folder you'd like to share and press the menu button beside it. Select Share. This will provide a sample e-mail that you can copy-and-paste into an e-mail and send to colleagues. It contains the link that they should visit to access the shared folder. They must be logged in to access the folder. When they visit the link, it will add the folder to their account so they can re-visit it later without using the link. When in the Custom Content section, they will see that folder, with a special icon indicator. At the present time, only the creator of the folder can make any changes to it. In the next version, we will add further privileges to allow multiple collaborators.